Greetings from Saigon! 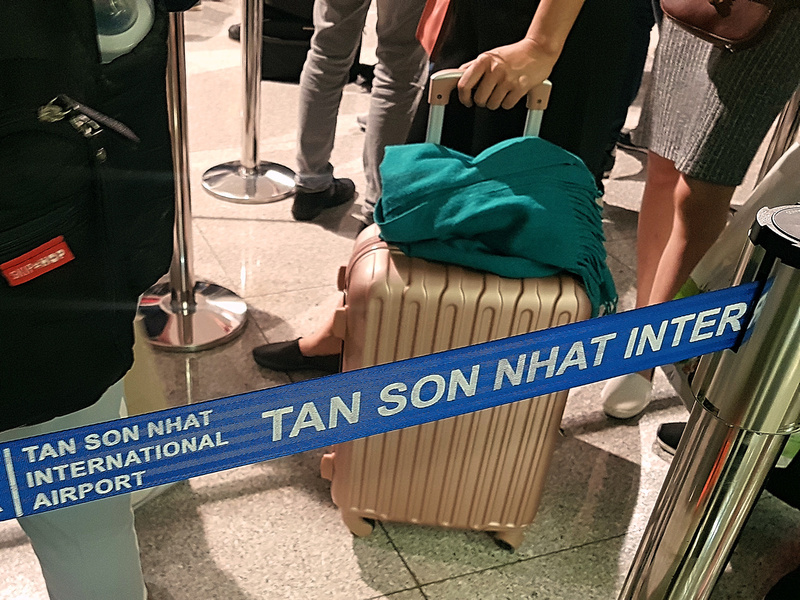 I spent the whole month of February on the the road, with the first and last day of the month bookended by flights at Tan Son Nhat International Airport. I have kept a record of every flight since I started travelling internationally, and SGN has rocketed up the charts to be my second most used airport. This months travels were dictated by a combination of visa running, avoiding lunar new year shutdown in Vietnam, and a family meet-up. This is a summary of where I’ve been, and more detailed posts will follow. I started the month in Chiang Mai to try out the new direct flight from Saigon to Chiang Mai, which I call the Digital Nomad Express. Chiang Mai used to be my preferred home base before Saigon, so I always enjoy going back. 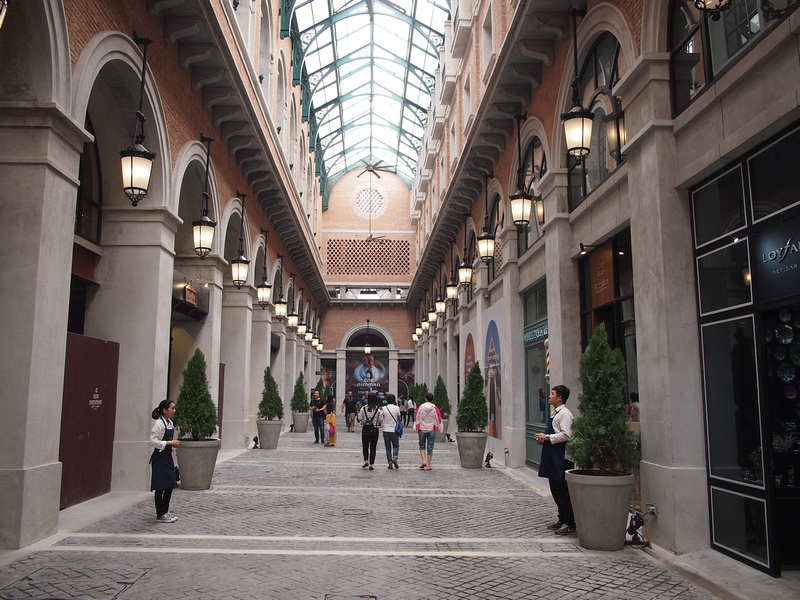 Since my last visit a new mall has opened which resembles an Italian piazza, which is on Nimmanhaemin Road opposite another big mall. 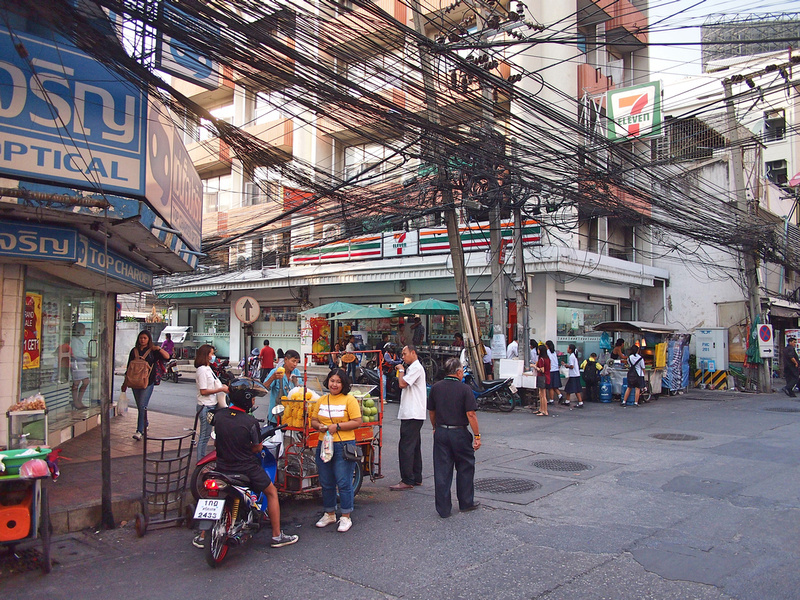 Nimmanhaemin Road is famous for being a enclave for digital nomads, though the real growth is being spurred by the influx of Chinese tourism. From Chiang Mai I wanted to get to Nakhon Ratchasima but there are no flights, so I took a flight to Ubon Ratchathani and got the train from there. 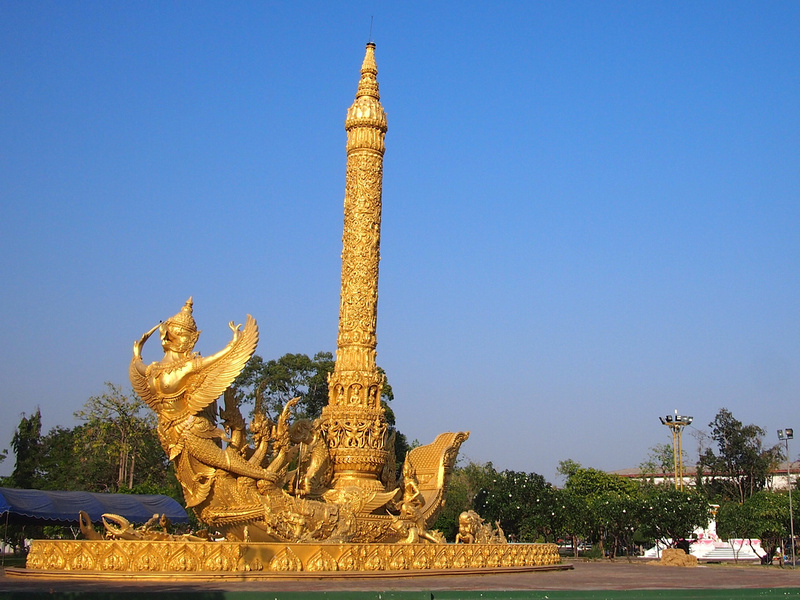 Ubon is such a contrast to Chiang Mai as there few foreign visitors here. I enjoy taking a break in provincial Thai cities, just walking around checking out random temples and finding great places to eat. I’ve been through Nakhon Ratchasima (Korat) on the train before, and I was here to visit as part of my Southeast Asia railway map project. With a new railway project promising to connect Korat to Bangkok in 77 minutes I wanted to have a look before that happens. Construction has begun on the railway, and with the train from China via Laos coming here, Korat will become an important railway junction in the next decade. Here is my complete guide to railways in Southeast Asia. It had been 10 years since I was last in Ayutthaya, so rather than get the train straight through to Bangkok I stopped here for a day. 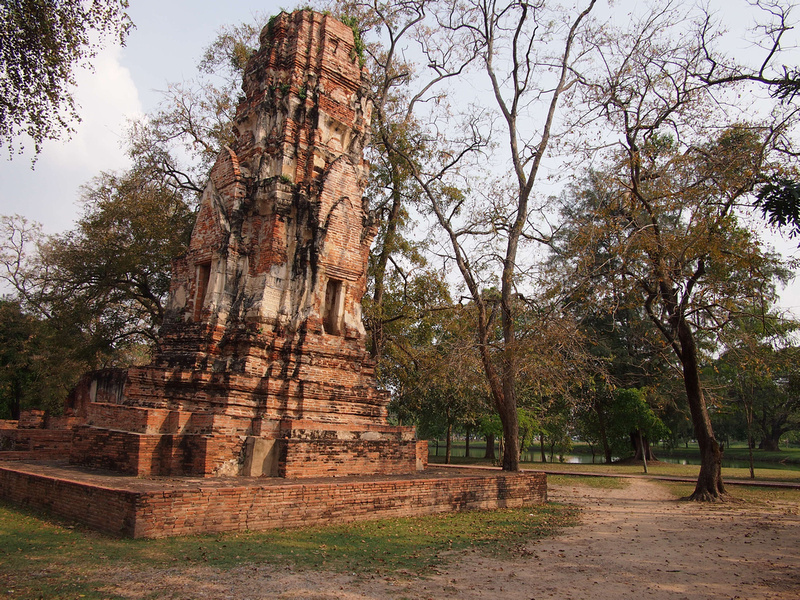 Ayutthaya was the capital of the Kingdom of Siam until the 1700’s and it has some of the best historical ruins in Southeast Asia. The main temples charge an admission, which is a must-visit if you are there for the first time. I had already been so I was happy to just wander around the well-kept park. 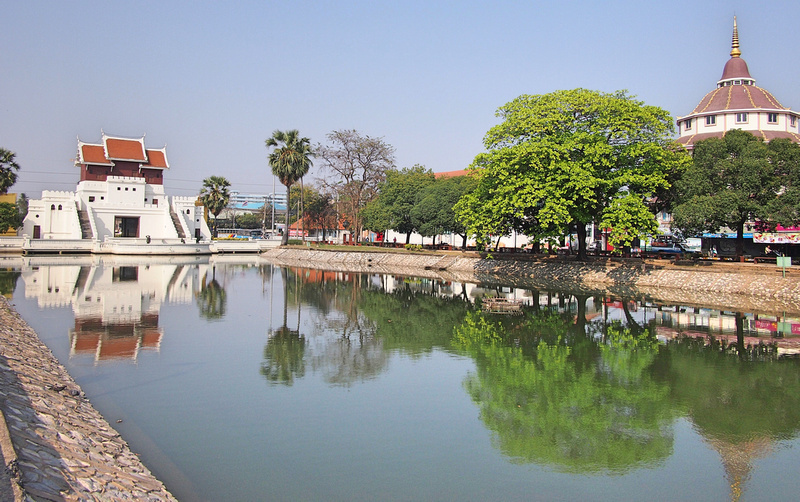 Ayutthaya will be another city transformed by the high-speed train to Korat. Ayutthaya is about 80km from Bangkok, so the new train will put Ayutthaya on the daily commuter map. I was in Bangkok to catch my next flight, and as always I schedule a few days in the city to catch up on my favourite things to do. I always leave thinking that I should base myself here for a while at some point. I turned 45 this month, so I am 5 years away from being eligible for the Thailand retirement visa. From Bangkok I flew to Dhaka, which was also my first visit to Bangladesh. 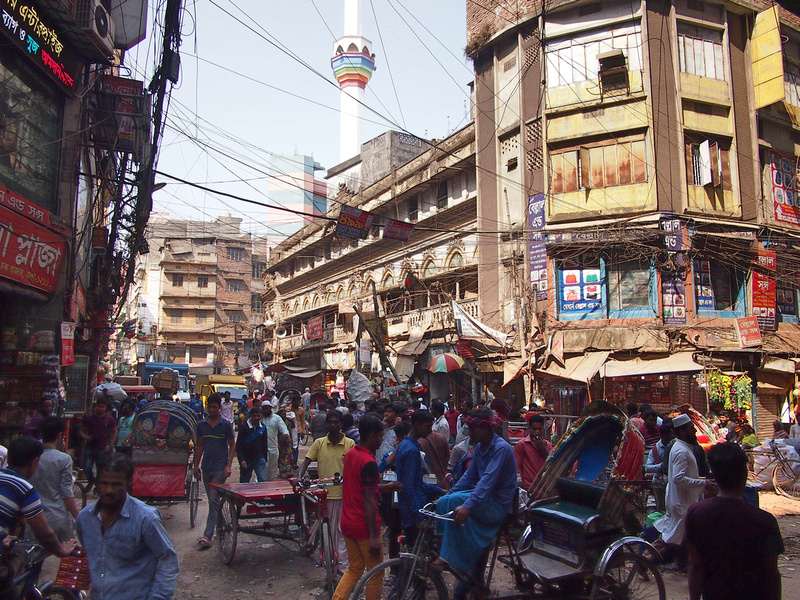 Dhaka has a reputation for being a traffic-clogged and chaotic city, and sure enough is it everything they say it is. 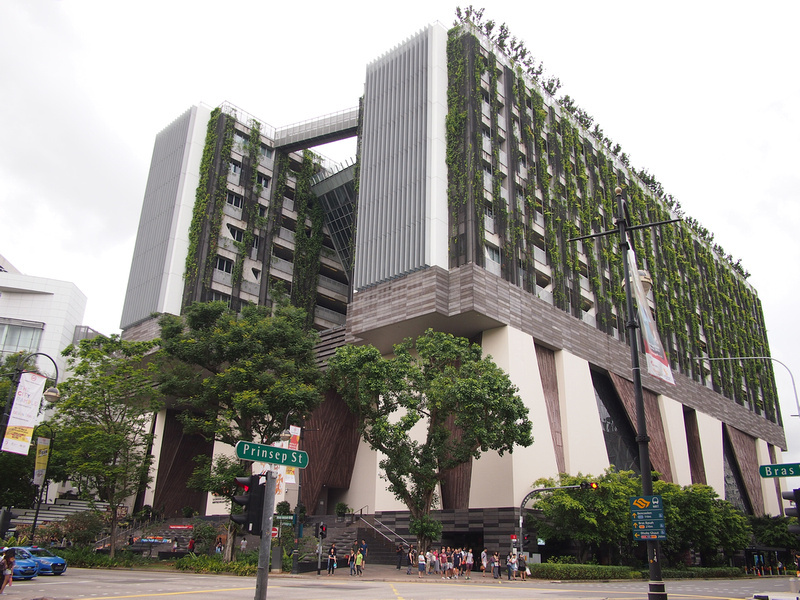 I found it a fascinating city and I could have used some more time here to get to know it. The old city in particular is such a spectacle, and to use an old travel writing cliche, it was a sensory overload. From Dhaka I got the train to Chittagong, which was a good way to travel between the two cities. 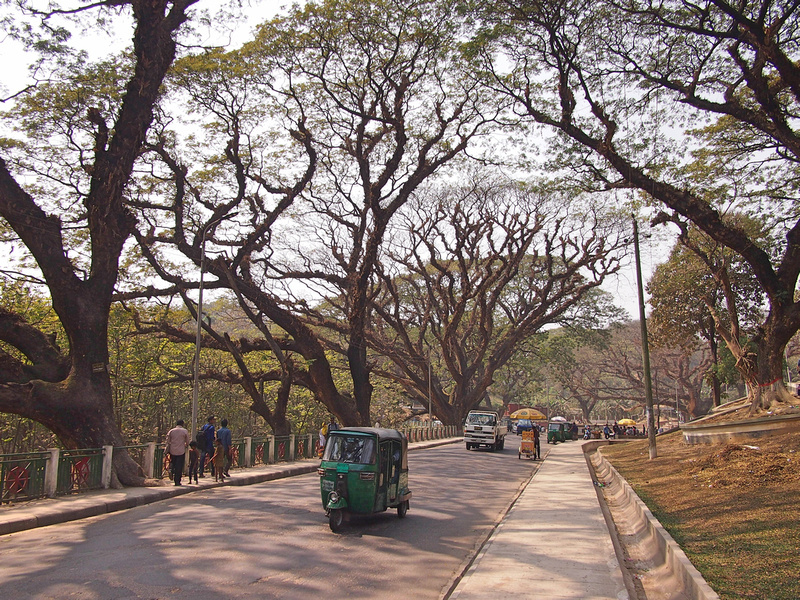 Chittagong used to be an important port city before the partition of India, so there is a collection of colonial-era remnants here that is worth visiting. After the traffic-clogged craziness of Dhaka and Chittagong, Cox’s Bazar was a good way to end my visit. There is still traffic mayhem in Cox’s Bazar, but this is also the home of the longest beach in the world. The beach is 155 km long, though I will have to take their word for it as I only saw about 5km of it. I happened to be there during a national holiday so the beach was packed with visitors. The good thing is that everyone congregates around the stretch of beach in front of the hotel area. Walk a kilometre away from that and you have the beach to yourself. I will have blog posts about all the places I visited in Bangladesh soon. After the chaos of Bangladesh I couldn’t have picked a more contrasting city to fly to than Singapore. I was there to meet my parents who were on holiday from Australia, and it worked out to be a good place to recombobulate for a few days. Thanks for the good pictures from that side of the world. It must be fun to feel pretty much at home in the provincial cities, & just walk around & enjoy.